Who among us does not dream of owning a house by the sea, especially if this house is in Turkey, surrounded by mountains and orange orchards. And when planning to buy property in Alanya, we first of all pay attention to new apartments, because you want to be the first owner in your house, so to speak, to equip everything from scratch. Planning to buy an apartment in Turkey in a new building, it is necessary to calculate and all the additional costs that are coming after the conclusion of the contract for the purchase of apartments. And it is worth considering that, as a rule, the purchase of new housing is more expensive than buying a secondary housing. 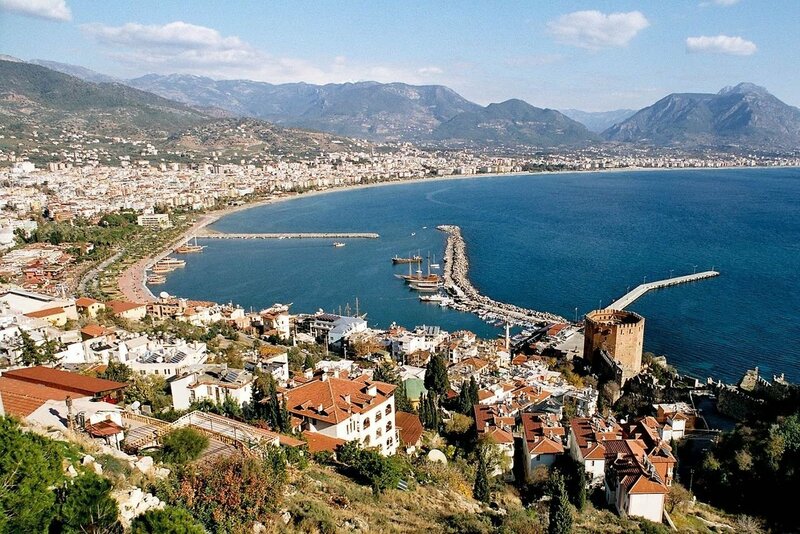 Buying an apartment in Alanya or Antalya will have to incur some additional costs. But do not worry, they usually do not exceed 5-7% of the market value of the object. First, it is a tax on registration in the cadastral management - 4% of the cadastral value of the property. Secondly, it is a state duty in the region of 250 lira, as well as an additional duty for foreigners, which is about 450 lira. Thirdly, the notary translator must be present at the transaction. He is obliged to explain to a foreigner in his native language all the details of the transaction, which will be announced in cadastral management. The notary translator is a criminal responsible person. And the cost of his services today in Alanya is 300 lire. Usually the biggest expense item when buying a new property is the repair, installation of plumbing and kitchen furniture. But in Turkey, all apartments are sold with a fine finish. Therefore, buying a new apartment, just do not have to paint and whiten. But if you want something special, then, of course, you have to invest in your own project. In addition, all kitchen furniture is also installed, as well as plumbing. It will only purchase household appliances and furniture in the bedroom and living room. By the way, many new apartments are already being sold not only with kitchen furniture, but also air conditioners and household appliances, so to speak, as a gift from the developer. But buyers of secondary housing may have to spend money on repairs. And the amount will directly depend on the condition of the property. First of all, before moving into your own new apartment in Turkey, you need to connect the light and water. In order to do this, you first need to issue a DASK - this is compulsory insurance against earthquakes. Its price depends on the area of ​​the apartment. So for apartments 1 + 1 (50-60 m2) will have to lay in the budget about 50 lire. The larger the house by the sea, the higher the cost of insurance. To connect the water and the light, you need to purchase meters. This can be done directly in the offices of asat and akdeniz elektrik. Water connection costs about 700 lire, registration of a subscriber for electricity - 250 lire. An important part of our life, without which, in fact, it is difficult to imagine the modern world - this is the Internet. And the new house by the sea will also need to be tied to the world wide web. In Alanya, the main provider is Turk Telekom, which provides its users with different cost packages for services. A huge plus is that if you enter into a contract for a long term (at least 2 years), then a wi-fi router (in Turkey they call it a modem) and you will not have to pay for the connection. Equipment rental company provides. True, there is one condition, for a long-term contract, you must have a residence permit. Otherwise, the equipment will have to buy yourself. The price for modems starts from 100 lire. Those who buy an apartment in a new building will also have to issue a technical passport at their own expense, which in Turkey is called Iskan. Its cost depends on the footage of the apartment. The average price of the order of 1000 lire. In the new apartment will need and new furniture. An economy class suite for 1 + 1 planning apartments will cost an average of 10,000 lire. This suite in the bedroom, and a soft corner in the living room. The most budget household appliances will cost at least 5,000 lire. Without air conditioning and dishwasher. On average, about 20-30 thousand lire will have to be spent on furniture and appliances. Of course, this is if you want to immediately and fully equip your new house by the sea. It is worth considering that when buying a secondary apartment, many expenses are significantly reduced. So the water, the light and the search must be simply reissued to yourself. And this is a significant savings for the budget.